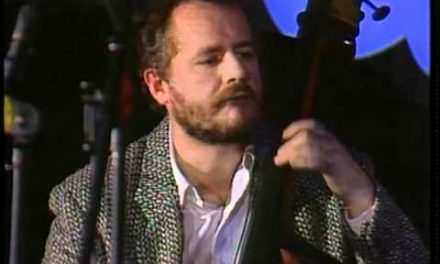 Dexter Gordon and Red Rodney pay tribute to “Bird” during a live performance in Copenhagen in the 1970s. -Charlie Parker wrote “Buzzy”, performed here by two cats who played it with him. Gordon left the US to play in Europe where he received great acclaim. The French made him a member and officer of the French Order of Arts and Letters. In 1976 the returned home to the US and established himself as one of the great tenor players. Heavy promotion from his label Columbia Records helped breath new life into the acoustic jazz market. 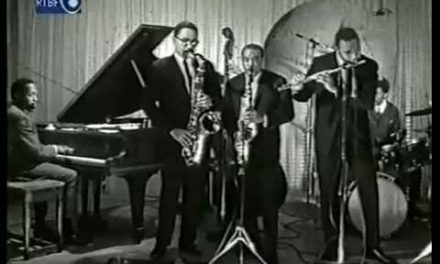 At the time not only had jazz taken a massive hit commercially with the advent of rock and roll, but also electronic jazz and so-called fusion music was taking the lion’s share of the remaining promotional resources. If you dig acoustic jazz, you probably ought to thank Gordon and Columbia Records for turning that tide around. Interesting news (and I lost the darned clip): Of all the live performing arts – dance, opera, musical theater, classical, etc. 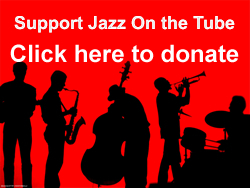 – jazz is currently the only one where the audience is growing.